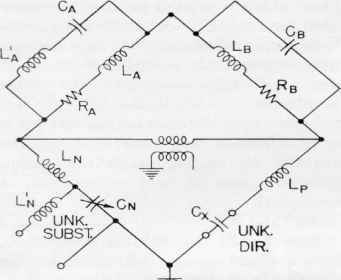 The series of articles entitled "The Versatile Voltage Divider," which appeared in the Experimenter in 1950, is now available in reprint form with some new material. These articles discuss the design, characteristics, and applications of variable three-terminal resistors, commonly called "potentiometers." Reprints are also available of "Apparatus for Noise Measurement" by Leo L. Beranek. This paper describes a sound-measuring system and discusses the various components. We shall be glad to send you a copy of either paper on request. rË1 HE General Radia EXPERIMENTER is mailed without charge each month to engineers, scientists, technicians, and others interested in communication-frequency measurement and control problems. When sending requests for subscriptions and address-change notices, please supply the following information: name, company address, type of business company is engaged in, and title or position of individual.